Great news! 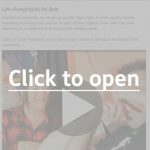 Add your name to our friends list, and every now and then we'll send you exciting updates, blog articles and research findings. Time on your hands? Lucky you! 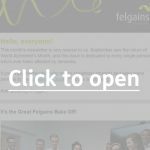 Why not use a few of those spare minutes wisely, and catch up on some news from Felgains? In our spring edition we explore why dehydration is such a common problem for the elderly, lend a Raizer to Naidex and launch our first video equipment guide. You'd be as mad as a March hare to miss it. 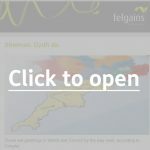 Let the March newsletter put a spring in your step with smart strategies on tackling dehydration. Plus, we explore equipment that makes getting on and off the toilet easier and wear silly socks. As the year Marches on (geddit), we mark Nutrition and Hydration Week by exploring the problem of dehydration in the elderly. 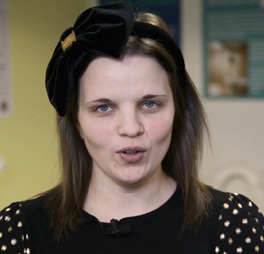 We also swing by the Naidex disability show, and publish our first video equipment guide. 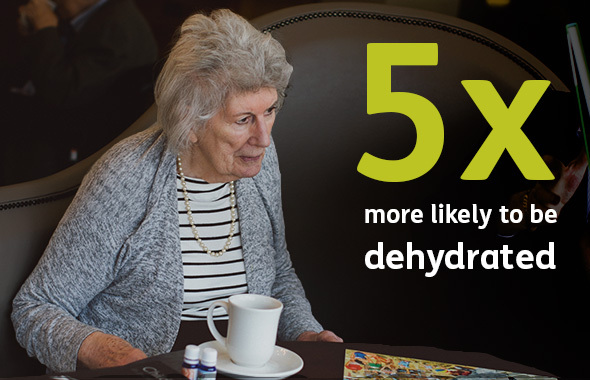 Did you know that care home residents are more than five times as likely to be admitted to hospital dehydrated than their peers in the community? While there may be lots of reasons for this, including a higher prevalence of dementia in care homes, the bottom line is that keeping older people hydrated is a challenge for all caregivers. Our recent blog explores why the elderly are more susceptible to dehydration and suggests how it can be tackled. Does part of your caregiver role involve turning people, or a person, in bed? Professor Dr. Hans Günter Lindner has conducted a study into four common care tasks. The study examines the forces required for the tasks when carried out manually versus mechanically. This month, we were pleased to loan the Raizer to moving and handling experts Melanie Sturman, Pam Sherliker and Lois Lees. Pam and Lois used the Raizer to demonstrate why the Raizer is an unbeatable tool in falls response. Our local customers know that there isn't a single question our Showroom Team haven't got an answer for. So, to make the most of their knowledge, we're planning a series of videos that guide people through equipment solutions that can combat common problems. 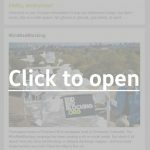 If you've got an idea for a topic, cast your meaningful vote here! 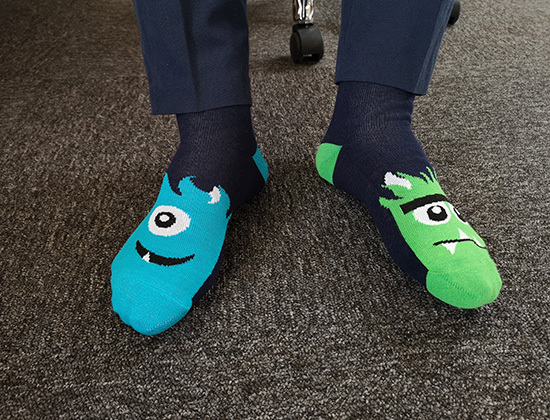 We took the opportunity to be silly last Friday by donning fun socks for World Down Syndrome Day. Harvey's monsters were our personal favourites. Raawrrr. We make the big time in our February newsletter, as the Raizer gets a starring role on BBC South. 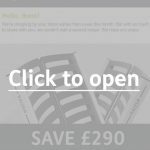 We also introduce our new range of continence control pants and share some tips on beating your budget. In the first newsletter of the new year, we shake-off the January blues with a VENDLET success story. We also bring it home with a review of the latest DFG report, plus reveal our new home adaptations partner. 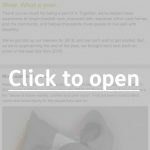 As we wrap up 2018, December's newsletter is a look back at our best bits from the past year. And yule be amazed at what we achieved together. Seriously, snow joke. You sleighed it. This edition is dedicated to every single person who's been affected by dementia. We bake a LOT of cake for the Alzheimer's Society, explore whether an accepted wisdom in dementia care is true, and cosy up to a retro ambulance. August proves a big month as we acquire a fresh-faced new starter as well as (actually, no spoilers here, you'll have to read to find out!). We also salute a group of concert-goers who remind us that the act of caring takes many forms. Summer reveals our silly side as we compete in a Raizer race: boys versus girls. 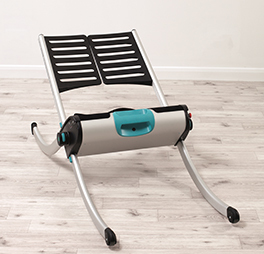 We also explore the MANULET range of positioning aids and meet Lenny - an old-fashioned barber warming the hearts of men living with dementia. 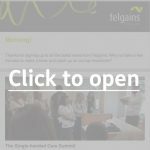 In our first ever news round up, we attempt to summarise all the wonderful stuff that came out of the Single-handed Care Summit, reveal the OPLET Patient Turning System, and ask the question: driverless wheelchairs, yes or no?